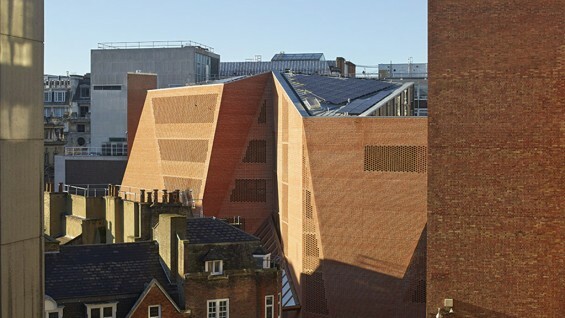 O’Donnell + Tuomey’s recently opened Saw Swee Hock Student Centre at the London School of Economics exemplifies the firm’s ability to weave extraordinary new structures into the existing urban fabric. 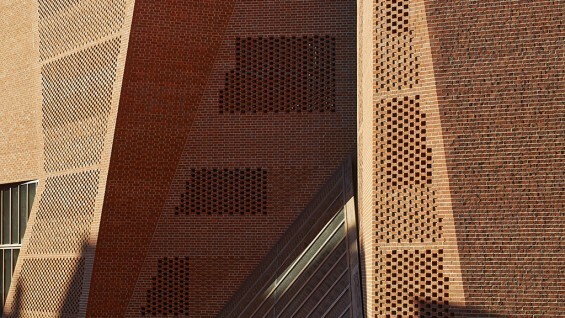 In the nomination for the 2014 Stirling Prize, the jury describes its spiraling, textured brick form as “an object lesson in mobilizing the limitations of a site into a startlingly original building which makes a massive contribution to its townscape.” O’Donnell and Tuomey will discuss the background for and design of this project, which has received the RIAI’s International Award, an RIBA National Award, and the RIBA London Building of the Year Award. Sheila O’Donnell and John Tuomey have worked together for more than 25 years. 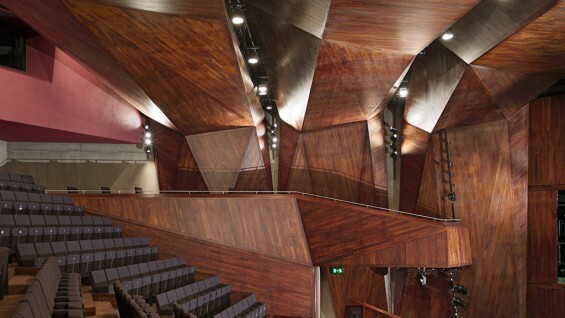 Established in 1988, their firm, O’Donnell + Tuomey, first gained recognition for their design of the Irish Film Centre, Dublin, which won the Downes Medal in the same year. Other notable early projects include the Lewis Glucksman Gallery at University College, Cork, and Timberland Social Housing, Dublin. More recent work includes the Gallery of Photography, London; Lyric Theatre, Belfast; and An Gaeláras Irish Language Centre, Derry. Publications include O’Donnell + Tuomey Selected Works and Space for Architecture: The Work of O’Donnell + Tuomey. O’Donnell and Tuomey teach at University College, Dublin, and have lectured at schools of architecture in Europe, the UK, Japan, and the USA, including Harvard, Princeton, Cambridge and the AA. They received the RAIA Gold Medal in 2005, were elected honorary fellows of the American Institute of Architects in 2010, and have been seven time winners of the AAI Downes Medal for Excellence in Architectural Design. They have been shortlisted numerous times for the RIBA Lubetkin Prize, the Mies van der Rohe European Award, and the RIBA Stirling Prize.